One of the questions we get a LOT is how we come up with recipes after almost 6 years of blogging about food. Which is a great question, since, at least for me, my own personal stash of favorite recipes I had collected over the years was used up about two years into this little adventure. For me, the recipes that I post come from a few different places. 2) A recipe that we post exactly or almost exactly as it was written. 3) A recipe that has been slightly adapted, either to match my personal taste or to improve on something that was problematic. 4) A recipe that has kind of been changed beyond recognition or blended together with one or more other recipes. 5) A recipe that I made up. Once upon a time when I was an English major, the rule was kind of if you wanted to be a better writer, you should a) practice and b) read more. Same thing goes for cooking–experience and looking at recipes are great inspiration for making up your own stuff and being more creative in the kitchen. I really, really love food magazines because they are fresh and fun and up-to-date on food trends. Yeah, it’s kind of a gamble–I think with every magazine I subscribe to, there have been a few issues where I only bookmarked one recipe, or maybe not any at all. But there have also been other times when I mark the heck out of the magazine and it gets me excited to get into the kitchen. This is by no means an exhaustive list of magazines. These are pretty much all I can handle without getting crazy overwhelmed (plus church magazines and Entertainment Weekly–you know, the essentials). As always, these posts are never sponsored in any way; I just want to share a few of my favorites! This has long been one of my favorite magazines. One thing I love is that they tend to use real food–no sugar substitutes, no black bean brownies. This is food you could eat for the rest of your life, just a little more reasonable (I think of it more as “cooking lighter.” To be completely honest, sometimes they go through phases where I feel like they’re heading in a direction that doesn’t match my style (like the last few months) and then bam, an issue comes out that knocks my socks off and it feels like they get back on track (at least back on track for what I’m interested in) for a long time. 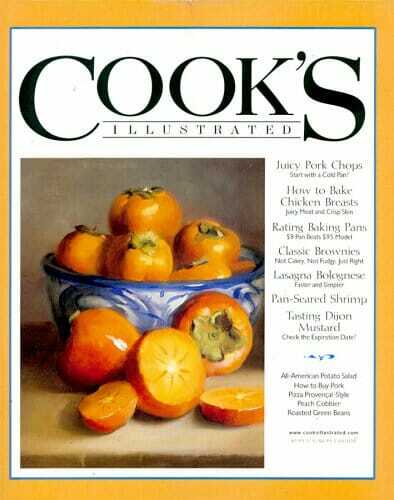 If you’re unfamiliar with Cook’s Illustrated/America’s Test Kitchen/Cook’s Country, you should familiarize yourself. Whether you’re just learning to cook or you’re an old pro, there’s always something to learn in from their meticulous testing and research. I’ve learned more about the science of cooking and how to be a better cook from Cook’s Illustrated than from any other source; in fact, I have a whole bunch of their all-purpose cookbooks and also a lot of their more “methodology” cookbooks. I’m a junkie. I’ll be the first to admit that not every single recipe they share has been a hit for me (the “just okay” pot roast comes to mind), but I appreciate the painstaking research that goes into each recipe. If you love good food, but you’re put off by pretentiousness, Cook’s Country is for you. Like Cook’s Illustrated (so all the recipes are subject to the same rigorous testing), it’s put out by America’s Test Kitchen and is full of all sorts of delicious, homey, family-friendly recipes. 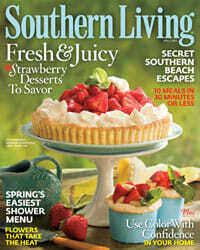 Even though I’m live in the South, I’m not from the South, but I still love Southern Living. It all stems back to my very first, favorite all-purpose cookbook being The Ultimate Southern Living Cookbook (which is out of print, sadly; I learned how to cook from that bad boy). Even though it’s not strictly a food magazine, I love ogling all the southern homes and gardens before I get to the updated southern classic recipes. I am actually not a huge watcher of The Food Network (with the obvious exception of Next Food Network Star, which I watch with rabid obsessiveness even though I have absolutely NO desire to ever be on the show, and Chopped, which I always seem to watch primarily late at night in hotel rooms.) But. I love the magazine. Right now, it might be my favorite food magazine. It’s fun, fresh, the recipes are often designed to be customizable, it has a nice balance of recipes, and it just strikes a nice balance of celebrity and great food (which is lots of great food and a little celebrity). So how do I order magazines? I actually recommend going straight to the source. It seems like I have major problems with any other outlet (let’s not talk about the time I subscribed to a magazine through Ebay). Even magazines.com, which has the nicest employees on the planet, cannot figure out my very complicated magazine situation and I probably wouldn’t order from them again. Anyway, hopefully that gives you some ideas for food magazines if your’e in the market! Have a happy Thursday and stay safe if you’re in the midwest! I stopped my subscription to Food Network Magazine over a year ago (after a subscription mishap) then randomly picked one up at the grocery store and I haven’t gone back! Martha Stewart has some great recipes, too. I just sometimes don’t like that I have to look for weird ingredients to use in only that one recipe so more often than not I end up substituting things that I use more often and are so much cheaper. I agree that she can. My problem with her magazine is that I have found many of the recipes to be unreliable or in serious need of tweaking, almost like they were never edited or tested). Like she has a lemon cake recipe that is one of the worst-written cake recipes I’ve ever seen–the baking time was something crazy like 10 minutes (which wasn’t even close to enough time) and entire steps were missing. But. Her team has some amazing ideas, so as long as you can recognize when something is way off, her magazine can be a great resource. Thanks for the recommendation. I would love some ideas on where to store your old magazines. I have mine hidden in a plastic tub, but I always dread going in there sometimes to look for one. I love reading old cook books, but I may have to subscribe to some of these. Thanks for the list! I received Food Network Magazine for 2 years and I have kept all of them in order by month in magazine holders from IKEA. They’re super cheap, and they fit perfectly on my pantry shelf. 🙂 I do the same for my Fitness and church magazines. They’re fun to pull out and read when I just can’t wait for the newest edition to come in the mail. 🙂 I love your site! Keep it up! I used to subscribe to Taste of Home and I love that magazine! I had so many that I quit subscribing, though. I can only try so many recipes and with food blogs now, I’d rather just turn there for inspiration. Love these Thursday posts! By-the-way, when are they going to have a Blogger season of Chopped? 🙂 Would you guys ever participate in that? I love cooking magazines and appreciate the recommendations. My struggle is how to manage the recipe’s I like. I find myself tearing them out and putting them in file folders but they tend to get forgotten or lost. I would love to have some ideas on the best way to manage them. I used to do the same thing. I started copying the recipes down (if they were short) onto index cards and storing them in my recipe box. For longer recipes I write them onto a notepad, 4.5×7″ or so, and then put them away. I know it’s sometimes a pain to write down recipes, but I set aside some weeknight time to go through magazines and the stuff my husband prints out. So now my recipe box is my goto place and everything is organized! I love all of these too! If you haven’t tried it, Next Issue is great for getting all of your magazines on your iPad. It doesn’t have the two Cooks Illustrated ones. (It does have the other three, Bon Appetit, Rachel Ray, Food & Wine, Eating Well, Saveur, Vegetarian Times and All Recipes.) I used to subscribe to a bunch of magazines and was really bad about tearing out recipes for inspiration. Now I just clip them into Evernote folders based on what type of recipe it is and my house is much cleaner! I do pay for Evernote, but it makes the photos index-able so I can search by ingredients too. I love America’s Test Kitchen. I get both of those magazines and I love them. My favorite thing about them is when they explain why they do every step in a recipe. Sometimes you see a step and it doesn’t seem that important but they explain why and how it affects what you are making. It has made me a better cook by far. These look like fun. I need some new inspiration. I hate when I find something to hat looks tasty though and they call for a box mix. I feel like I get that a lot with Taste of Home. I print off recipes I want to try and once I try them I put them right in my recipe books. Unfortunately, my dessert pile is too big. At times I feel like the recipes I use take me over an hour to produce (partly because I am so unorganized and trying to make a different version for those who have allergies in the family or someone needs to go potty while I make dinner or needs to be held or is at my leg crying) and would love to try out more recipes. I have a whole ton of recipes that I’ve bookmarked and forgotten or we have some cookbooks that just give us “meh” results. I’m so glad to use these magazines as a resource to find some nice food for my family! Now….. let’s see when I can find the time to make them!!! I should probably sign up for a pinterest account finally but afraid of neglecting my family if I do haha. FYI: I have made black bean brownies before!!! However, since we have someone that has a dairy AND egg allergy, I substituted egg for applesauce and I had to freeze the brownies to make them not have a weird consistency for me after they were baked. 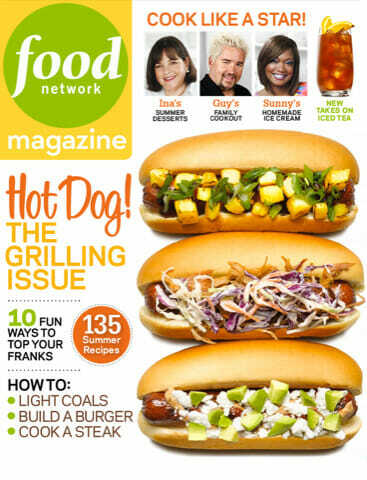 I also love Food Network magazine! Great list, thank you! I used to love the Taste of Home magazines. Quick question-We are trying to start a cooking group at church, but no one wants to be the first one to host it. Do you have any fun ideas on how to get the ladies excited about it? 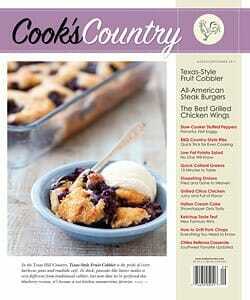 I love Cooking Light & Cook’s Country too! I’ve got to get some new subscriptions going! Great selection! I have recipes that I really enjoy from almost all of those. Thanks for sharing! I love the Cooks Country magazine. 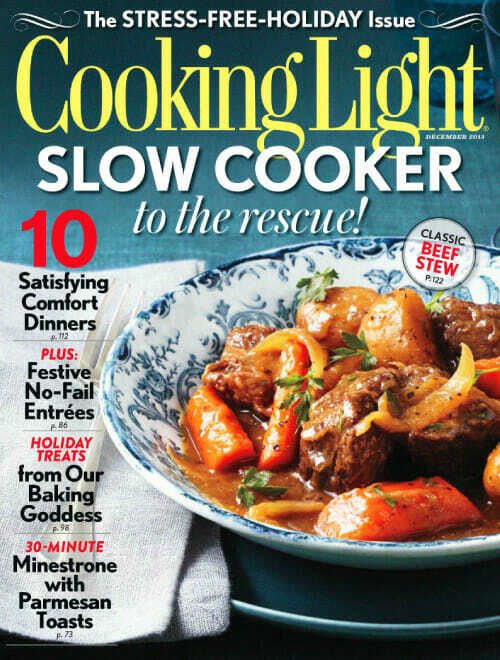 Thinking I’m going to have to check out the Cooking Light magazine soon. i love weight watchers magazine! even though i’m not in the program I always like reading the recipes.